georgina I am validating that this deal work as described. 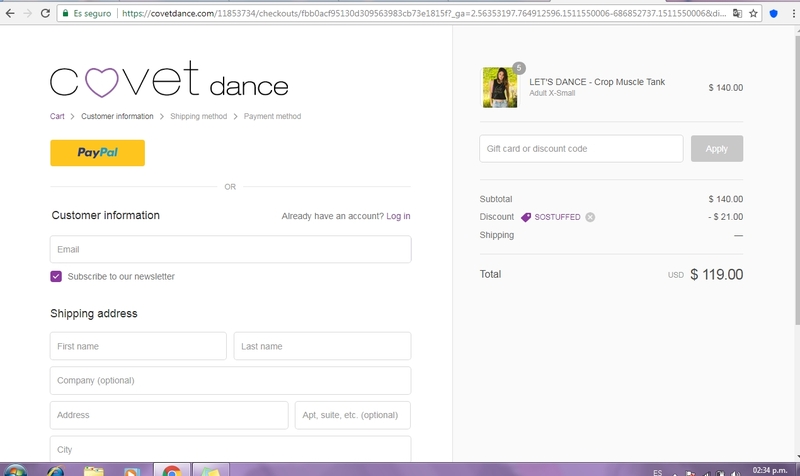 Enter code and get 15% Off All Orders $30 or More at Covet Dance (Site-wide). This is a limited time offer. Lorena Wilbur Offer ends November 24, 2017 at 11:59pm EST. Use this voucher code at checkout for their all products. Limited time offer, Terms and conditions may apply.